Recently, I was talking with my college roommate. Her daughter is off to college this year and I’m excited to see how she decorates her room. 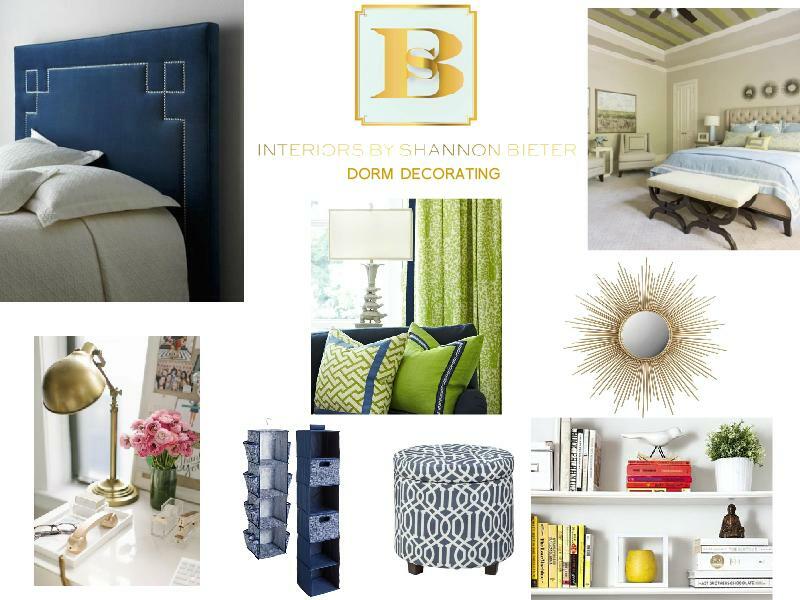 In the mean time, I thought I would put together a mood board showing tips on how to make a dorm room go from DULL to GLAM! Dorm rooms are small in size, and tend to have minimal storage. I want to expand the eye to the ceiling to create an illusion of a wider, taller room. 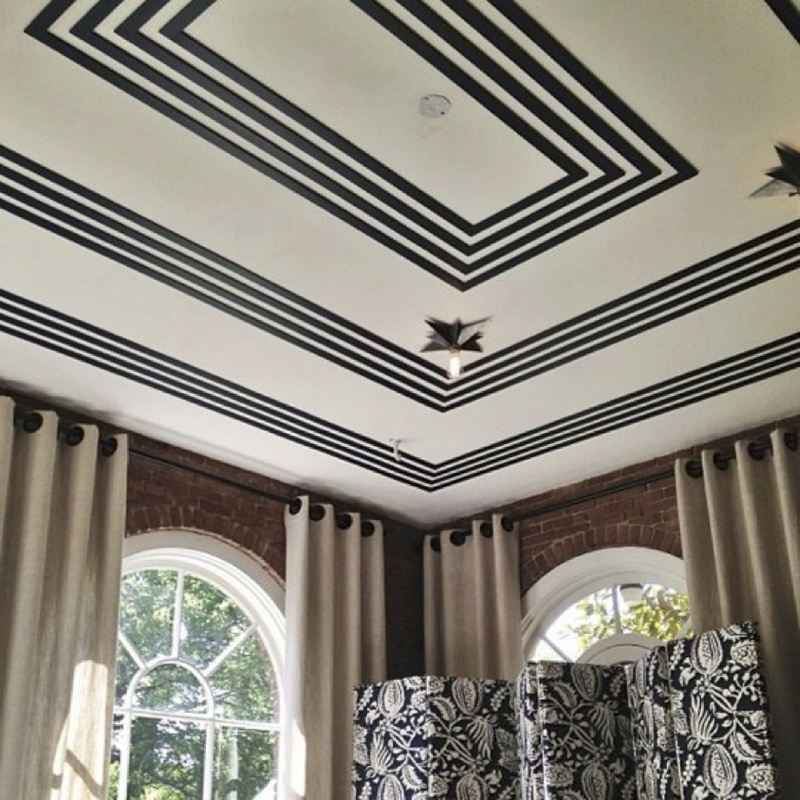 I would recommend painting stripes on the ceiling. Here are a few rooms using stripes to give you an idea of the look! 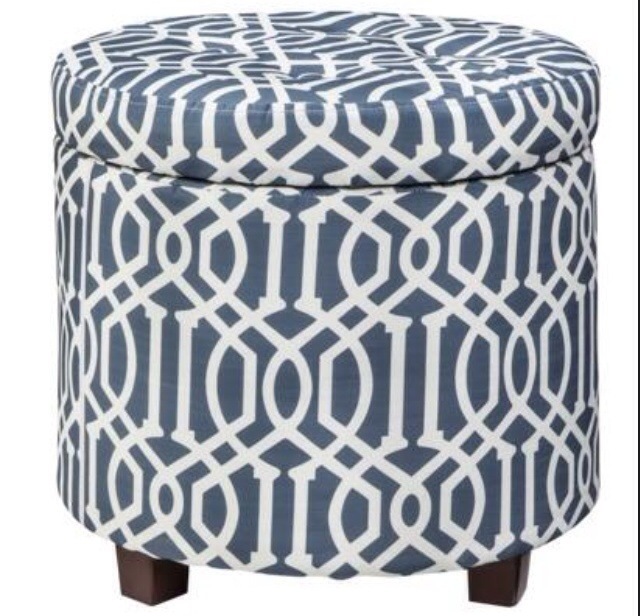 Placing a storage ottoman at the end of the bed allows for extra seating and storage. Also, these handy closet hangers from Pottery Barn will be great for organizing the closet. I would recommend adding a sunburst mirror above this posh navy headboard. I chose the navy color palette for this college hipster because it’s trending for 2014. This college girl will be ahead of the trend, and have a warm spot to call home during the school year! Good luck to all of you heading to college and a hug to the parents!